a spacer element which is arranged in order to space the fixing rope away from the longitudinal faces of the sheave. The aim of the pulley described in US20160152452A1 is to reduce friction between fixing rope and sheave. This is achieved by using closed rope loop as a fixing rope and a spacer element and the spacer element is arranged to provide pressure to the fixing rope so, that the fixing rope moves away from the sides of sheave in two directions. The short answer is no it shouldn't be possible to get a patent on something that is already in use. In fact pulley's have been in use since more like 1500BC. So it doesn't seem likely that US20160152452 is actually trying to patent a simple pulley. What is actually patented is defined by the claims. To infringe on a claim, you need to implement each and every aspect of the claim. You have to look at those and not simply focus on the title or abstract. Also, claims in applications are almost always broader than what actually gets allowed. Here is the first claim. the fixing rope being in direct contact with the central recess, a spacer element which is arranged in order to space the fixing rope away from the longitudinal faces of the sheave. I expect this claim will not get allowed as written because it doesn't specify clearly the design, but I could be wrong. I'd need to read the rest of the patent to clearly understand how some of the terms are defined. What I believe this patent is getting at is a specific design of the monobloc sheave in order to reduce friction without the cost of ball bearings. 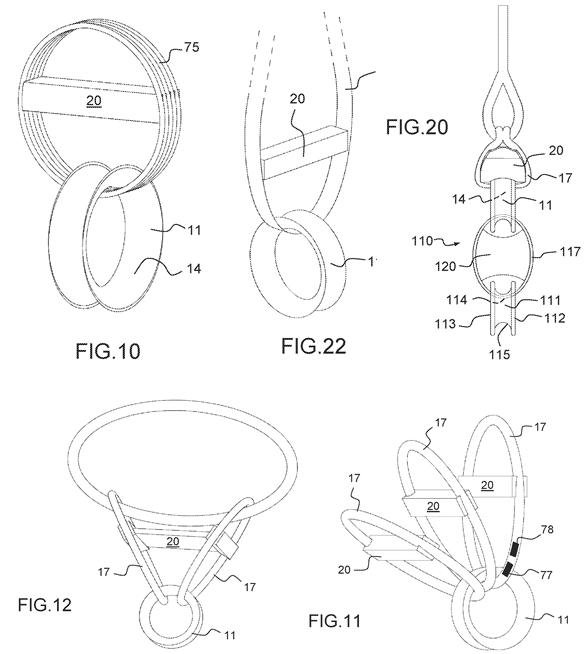 So the real question is whether the actual design of the pulley as defined by the eventual claims in a granted patent (and it may not be) are anticipated by prior art. If you believe you have prior art to this application, you can submit it to the USPTO. This is called a Third Party Preissuance Submission. Here is another link that describes the process. It looks like there is a $180 fee for submitting up to 10 items of prior art. 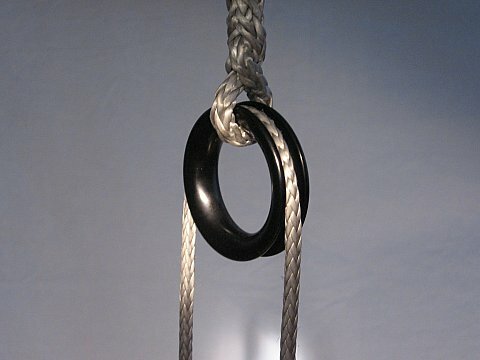 The white rope, when pulled on one end, will rotate the black sheave. The combination of black sheave with the red/white rope tied through the center of the sheave will then act as a pulley. 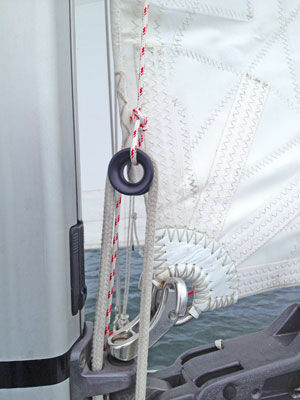 The mentioned article in sailmagazine describes the use of “low friction rings”, which is actually exactly the sheave type described in the patent. Not the answer you're looking for? Browse other questions tagged prior-art-request pulleys sailing yachts friction or ask your own question.